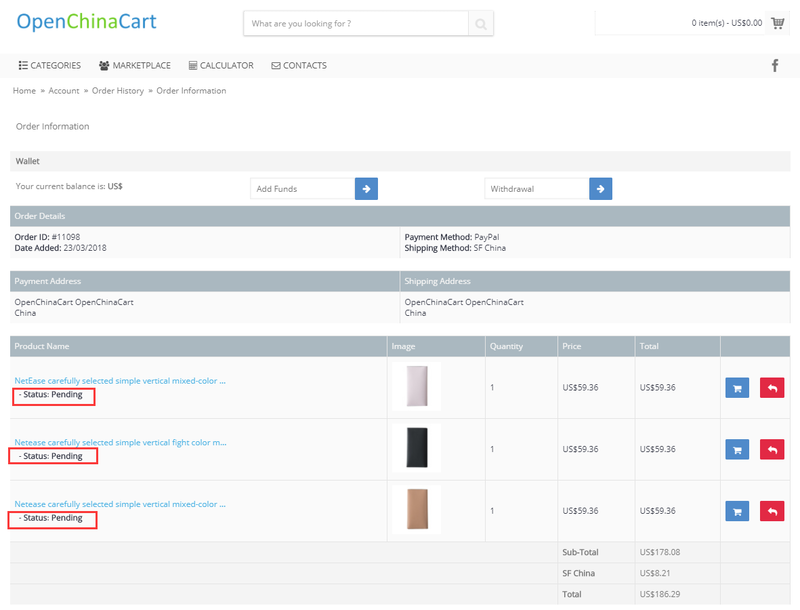 As long as we receive your payment, the status of your order will show Paid & Processing. At this point in time, Orders are being shipped from Suppliers to our China Warehouse. 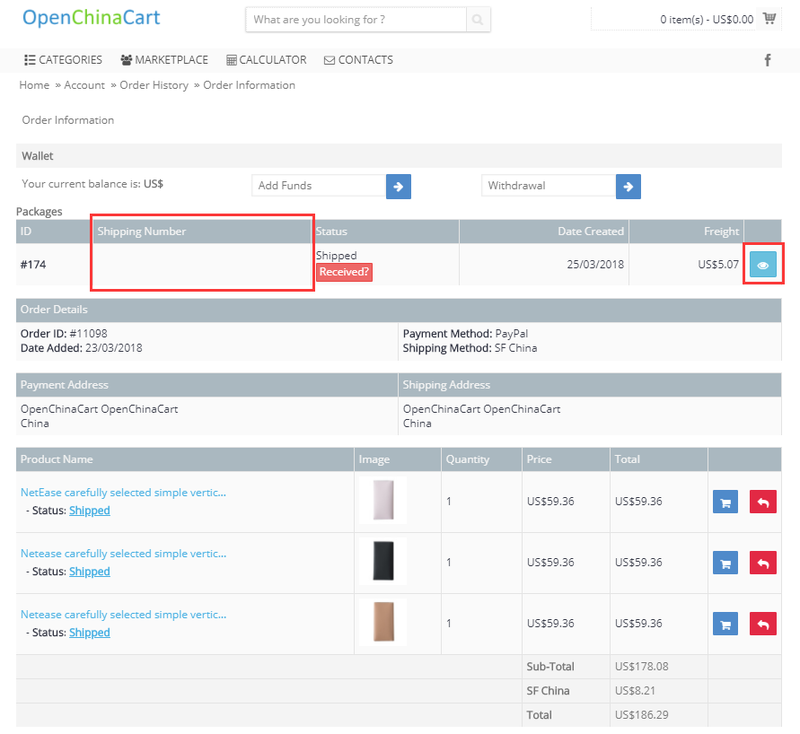 Your product status will change from Pending to On The Way to Warehouse. 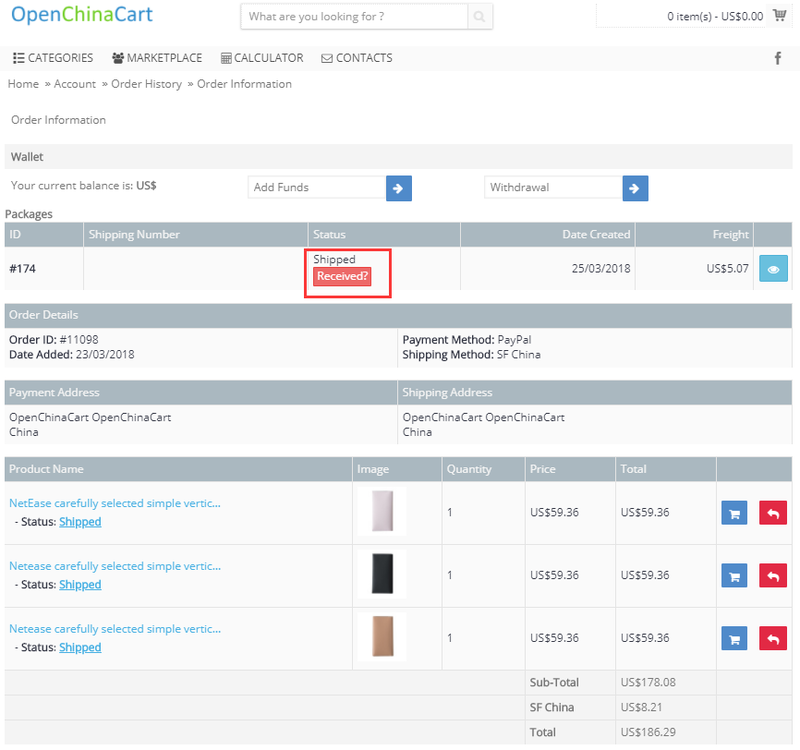 As soon as your package is received into the China Warehouse the order status will change to Arrived in China Warehouse. We, will then do a quality check on your item(s) to ensure that they are in good working order, and verify that they are exactly what you have ordered. We will then take photos of your items and upload them into your account. 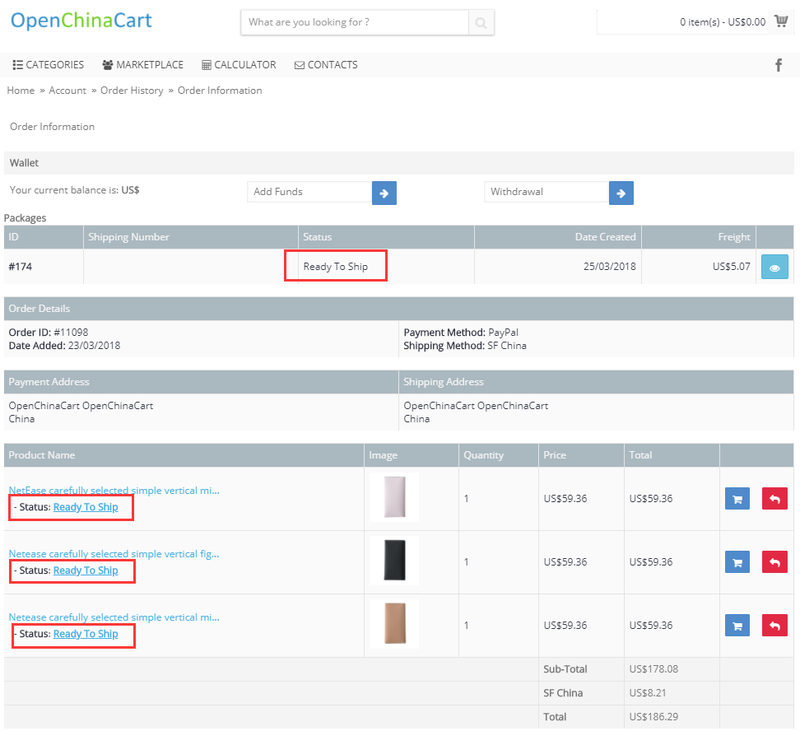 You can view the pictures of your items by simply clicking on “Arrived in China Warehouse” link as shown in the print screen example. Once the quality checks have been completed your order is ready for International Shipping. Note: The total processing procedure at the warehouse takes between 2-5 days to complete. Your order will ship out as soon as this step has been completed. As soon as your order has finished going through the processing procedure at the warehouse, and quality checks are complete, your order will be ready to ship.Your product status will then change to “ready to ship”. Your package will be shipped out based on the shipping method you chose at the time you placed your order. The carrier will come pick up the package and your order status changed to “Shipped”. You will also receive an E-mail notification saying that your order has shipped and it will give you an estimated delivery time based on the option you chose. You can track, and view your shipping and delivery information at any point in time, as long as the order status is “Shipped”. All you need to do is log into your account. 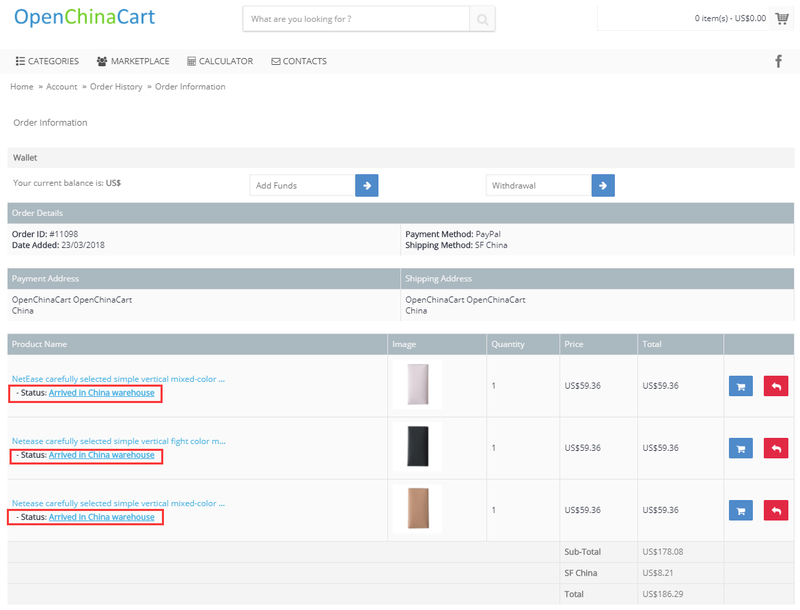 You will be able to see a tracking number, who the carrier is, and the shipping address. 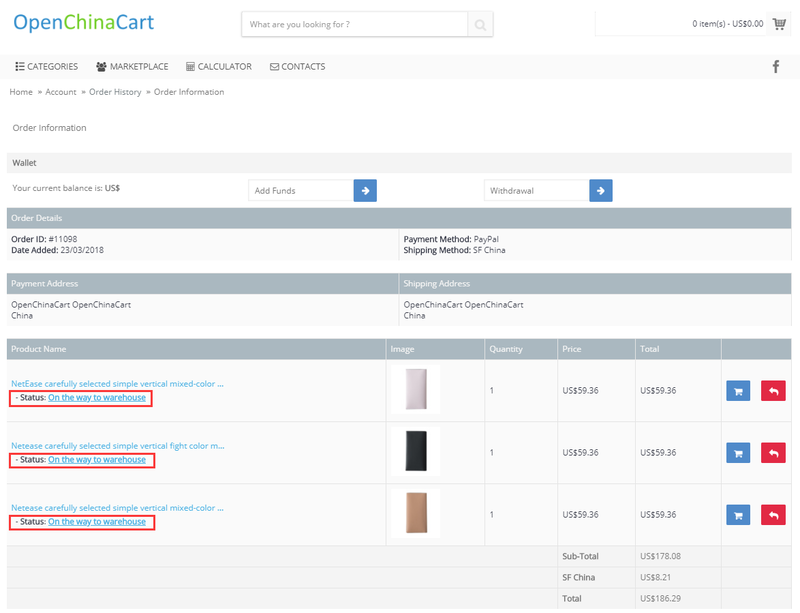 **Note: If you have ordered multiple items you may have separate tracking details for each item. 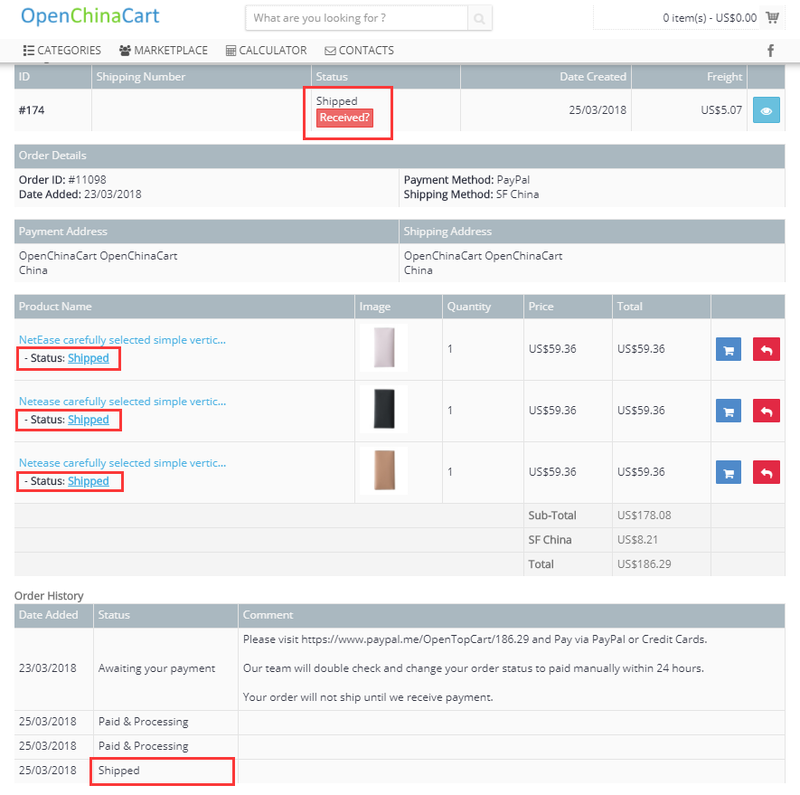 After you have received your package please don’t forget to go into your OpenChinaCart account and click “received”. **Note: Most deliveries require a signature to ensure that the package has been delivered in good condition, and on time. When your order is delivered please inspect the item in front of the delivery person, before you sign. 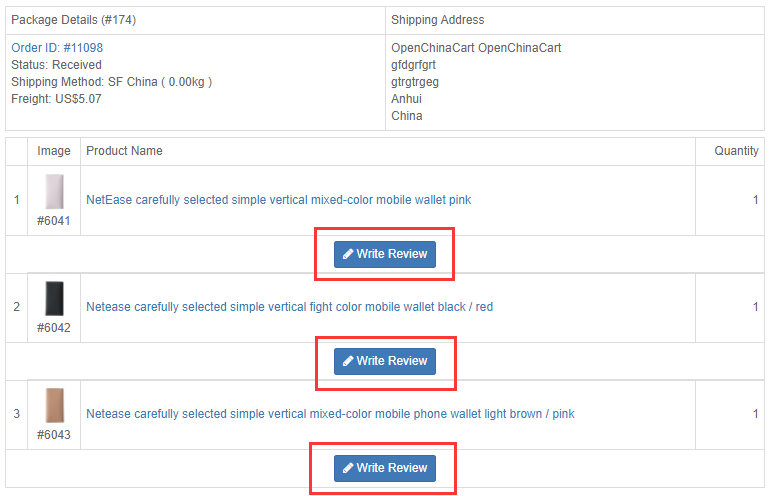 We encourage you to write a short review of the item(s) that you have received, as this will help other customers with similar needs.